It’s hard to keep your cool when dealing with difficult customers. After all, it’s only human to get defensive and fight back — or cave in and give customers whatever they demand. What reps need instead is a plan. In just 20 minutes the cast of this engaging video illustrate how to remain calm, turn around angry customers, and resolve their problems. Use basic customer service skills to turn things around before conflicts develop. Ask short guiding questions … lead your customer to making small positive decisions. Use positive language … focus on what you can do for the customer. 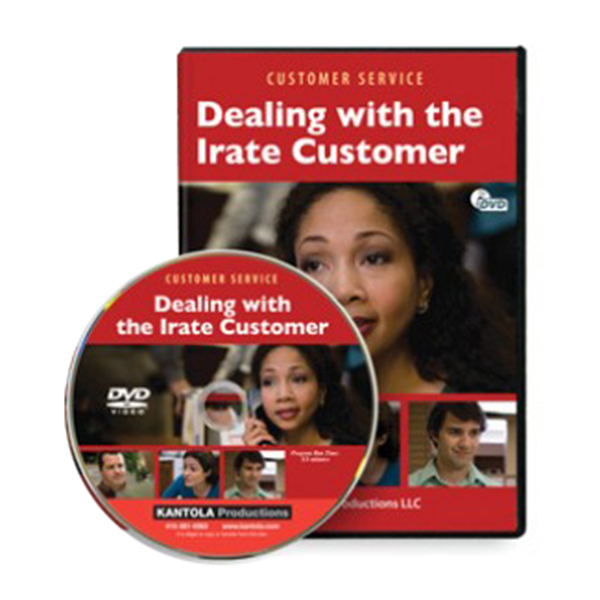 Dealing with the Irate Customer is guaranteed. We want you and your reps to use this valuable resource and put its ideas to work in your department. Then, if you are not 100% satisfied, you may return your materials within 30 days for a full refund.